The above photograph was published by Ruth Anna Hicks in Issue 11 of the Cox Clan Newsletter (April 1996), with the indication that the photograph was taken in Concordia, Kansas and that she suspected the two men were brothers. 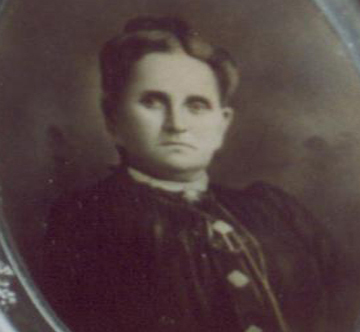 In Issue 12, she indicated that no one had provided an identification, but that she suspected that the couples were David and Pleasant Cox and their wives. 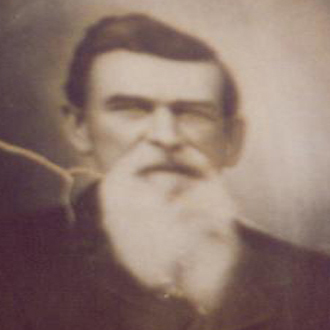 David Fletcher Cox (1840-1928) and his wife Harriet E. (Smith) Cox (1842-1926), moved to Cloud County, Kansas in 1871, Concordia being the county seat of Cloud County. They moved to the vicinity of Wenatchee, Washington after the death of their daughter Lucy in 1900 or 1901. Pleasant Freeland Cox (1844-1920) and his wife Florinda (Smith) Cox (1846-1924) stayed in Rock Island County, but there seems to have been visiting back in forth. 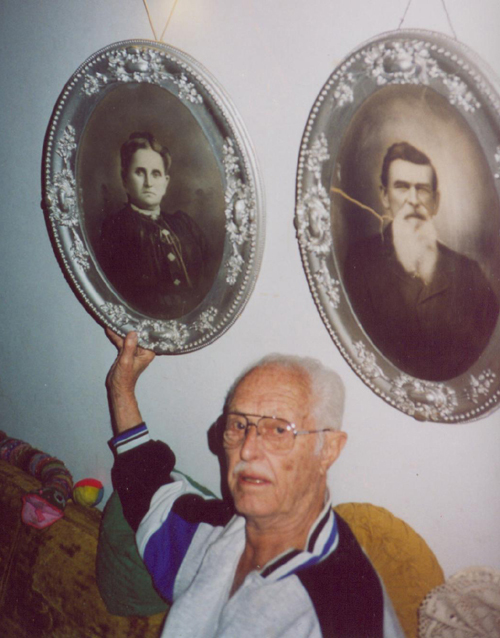 In 2003, Everett Sturdy of Rancho Palos Verdes, California sent me the picture on the left, showing portraits of David and Harriet Cox that belonged to his late wife Betty (Bremer) Sturdy, a great-granddaughter of David and Harriet. Enlargements are shown below. I appreciate Mr. Sturdy's generosity in sharing the photograph. 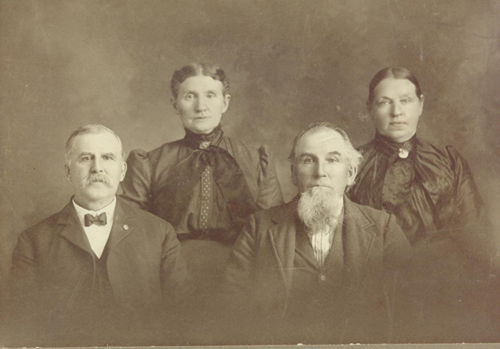 It appears that Mr. Sturdy's photograph confirms the identities proposed by Ruth Anna Hicks and clarifies that David and Harriet are on the right hand side of the original picture, while Pleasant and Florinda are on the left hand side of the photograph. I estimate that the original picture was taken about 1900, or not long before David and Harriet left Kansas. 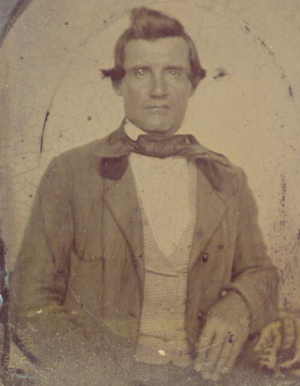 The portraits owned by Mr. Sturdy presumably date from the 1880s.